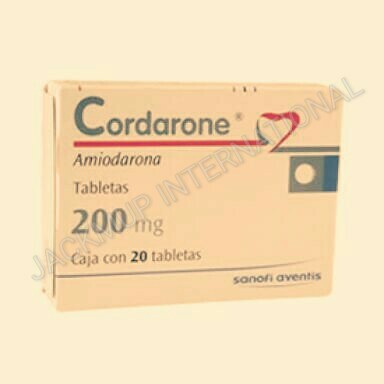 Description:- Cordarone 100 mg tablet is used in the treatment of arrhythmias. It treats irregular heartbeat by blocking abnormal electrical signals in the heart. Do not take amiodarone if you have a slower than usual heartbeat (called sinus bradycardia) or an illness which causes irregular heartbeats called ‘sino-atrial’ heart block; have or any other problems with your heartbeat and do not have a pacemaker fitted. Avoid using amiodarone if you are pregnant or breast-feeding.